Buffering videos and limited downloads will soon be a thing of the past. With 5G technology almost at the door, the future could offer download speeds up to ten times faster than the current LTE networks in Australia. Telecommunications companies like Telstra, Optus, and Vodafone are already working extensively to bring 5G to their customers. Meanwhile, American telco Sprint has become the first operator to announce a 5G ready smartphone. It has partnered with Korean smartphone manufacturer LG to bring the first 5G handset to its subscribers. If everything goes as planned, we could be looking at a launch sometime towards the end of the first half of 2019. With the 5G network nearly ready and 5G capable devices on the market, there will be nothing to slow down the roll out once the companies get going. The Sprint-LG smartphone will not be the first device to support 5G – the recently launched Motorola Z3 comes with this functionality. However, there is a catch. The phone requires an extra piece of hardware called ‘Moto Mod’ to support the 5G networks. If you have ever seen the previous generation Moto Mods from JBL and Hasselband, you will know that these mods make the smartphone extremely bulky and hard to hold. We know from design disasters like Google Glasses that no matter how good the technology is, the majority of people will not be on board if it is unattractive and impractical. On the other hand, the Sprint-LG smartphone will continue to meet the design expectations of a modern day device and will come with premium hardware along with its enticing looks. The phone will not be as thick as the Motorola/Moto Mod combination. The company claims that the device has already been built and is being tested rigorously on the 2.5 GHz spectrum. While there is no word on the features for now, Sprint has promised that the company will continue to provide the best features to its customers as it has done in the past. Meanwhile, AT&T is also gearing up for the launch of a 5G connected device which is due towards the end of this year. With competition breathing down their necks, it makes sense that Sprint is joining forces with T-Mobile to get ahead of the competition to support 5G technology. Recently the mobile SoC maker, Qualcomm announced that the next generation of its processors will come equipped with support for 5G technology. The embedded Snapdragon X50 platform will be built on a 7nm architecture. There is a good chance that the processor in question is the Snapdragon 855 which is due for a launch in December. Considering the dominance of the chipmaker in the premium smartphone market, we might be seeing more 5G devices hitting the shelves in early 2019. Chinese smartphone manufacturer Lenovo has already announced that it will be the first one to come up with a Snapdragon 855 mobile handset. The Sprint-LG device, however, is expected to miss out on the powerful Qualcomm Snapdragon 855 flagship chip. The new generation communication technology has been extensively tested with lab tests achieving as much as 10 Gigabits per second speeds. Tech giants like Samsung have already demonstrated their ability to maintain high data speeds in a car moving at twenty five kilometers per hour. Considering the fact that the device is constantly switching base stations, it the improvements on 4G are already obvious. When the technology is released commercially, it is possible that networks might achieve 30-40 times faster data speeds and a better overall coverage than the current 4G LTE networks. The 5G technology uses something called millimeter wave radio spectrums which are wavelengths above 24 Ghz. While these wavelengths can carry significantly more amounts of data, they are also easily blocked by buildings, and other structures. In fact, something like bad weather or rain can also contribute to these problems. 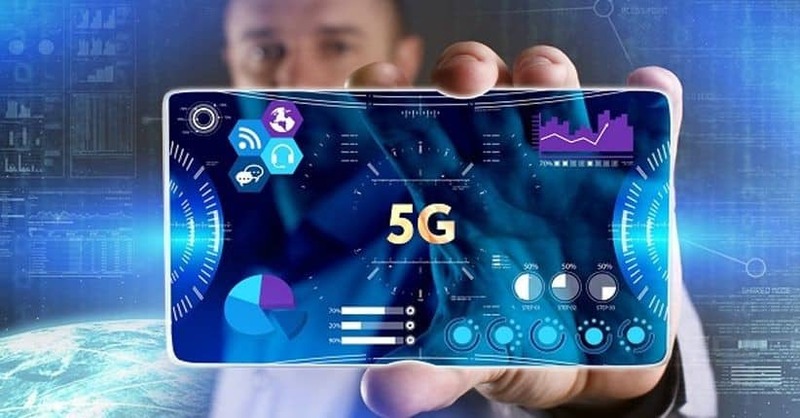 While these remain to be some of the major challenges with 5G, the telecom operators are confident about their strategies. Technological advancements in signal processing, processors and antenna hardware have significantly helped in deploying the 5G network. 5G is an exciting technology that will open up immeasurable new avenues for manufacturers and innovators. However, the benefits are currently accessible under test conditions in a lab. While some Australian companies are focused on the other end of the problem – enabling 5G in certain cities and areas – these companies are attempting to get devices into customer hands that are capable of accessing and utilising the 5G networks. When both sides come together, customers will have real world access to the benefits. With every milestone reached, we come a little closer to a world that is powered by 5G.